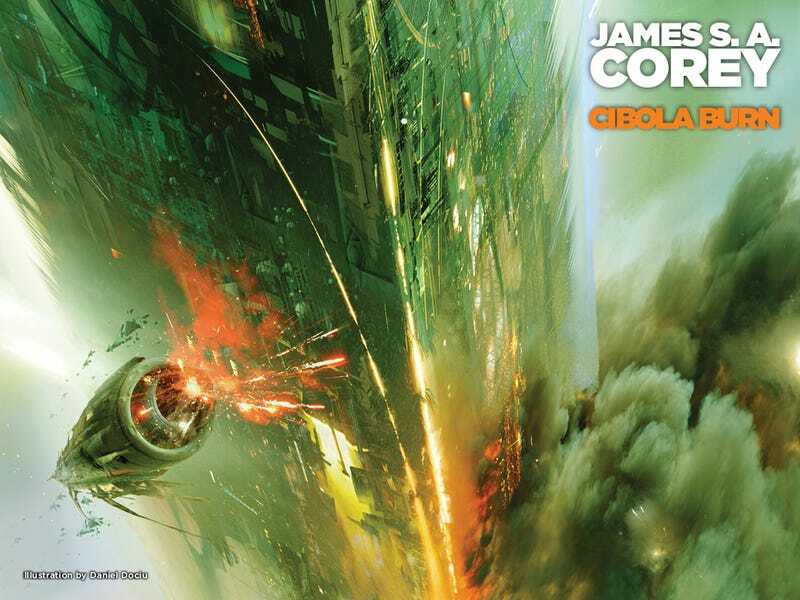 Orbit Books has just released this sweet new desktop wallpaper for the upcoming release of James S.A. Corey's Cibola Burn, the latest novel in the expanse series we've all been anxiously awaiting. There are other amazing wallpapers for the previous works available for download. Daniel Dociu's artwork is fantastic, definitely worthy of screen time on my computer. I'm particularly fond of the artwork for Leviathan Wakes. There's just something about the blue and pink that gets me. If you haven't jumped headfirst into this series yet, you are wrong. Leviathan Wakes, the first novel in the Expanse series, is this month's io9 book club pick. You've still got time to get in on this thrill ride. Cibola Burn will release on the 17th of June. Don't count on pre-ordering from Amazon though. Ridiculousness has taken hold of negotiations between Amazon and publisher Hatchette, forcing us plebs to obtain our fix from other sources.